LA PAZ – Bolivia’s foreign ministry announced Wednesday the repatriation from Argentina of 82 coins that were minted here in the 16th century. The ministry gave credit for the recovery to “efforts made by the Embassy of the Plurinational State of Bolivia in Argentina,” and to the “excellent relations of friendship and cooperation” between the two countries. The coins are of the type known as macuquinas: hand-hammered pieces turned out by the Potosi Mint, a facility founded in the 16th century by the Spanish colonial administration. The mint used silver from the giant Cerro Rico mine in Potosi, then the world’s biggest deposit of the metal. 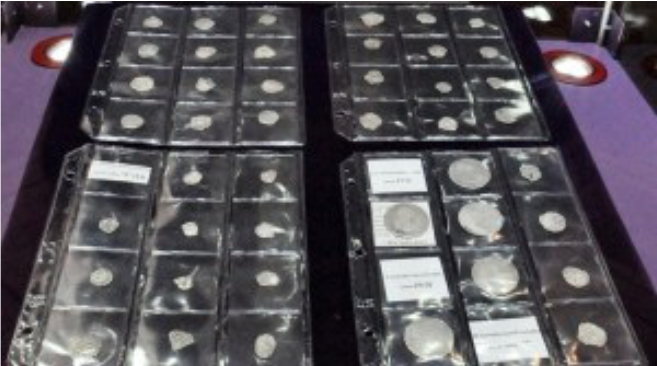 Four of the coins were identified as colonial-era Bolivian currency by the Peruvian Embassy in Buenos Aires, a “noble gesture” that facilitated the repatriation of the pieces, the foreign ministry said. Bolivia also expressed gratitude for the work done by Argentina’s National Institute of Anthropology and Latin American Thought in arranging for the return of the coins. This entry was posted in Bolivia, Potosi, Tourism and tagged Bolivian heritage, Cerro Rico, silver. Bookmark the permalink.